Rachel and Andrew were great to work with so relaxed and easy going. 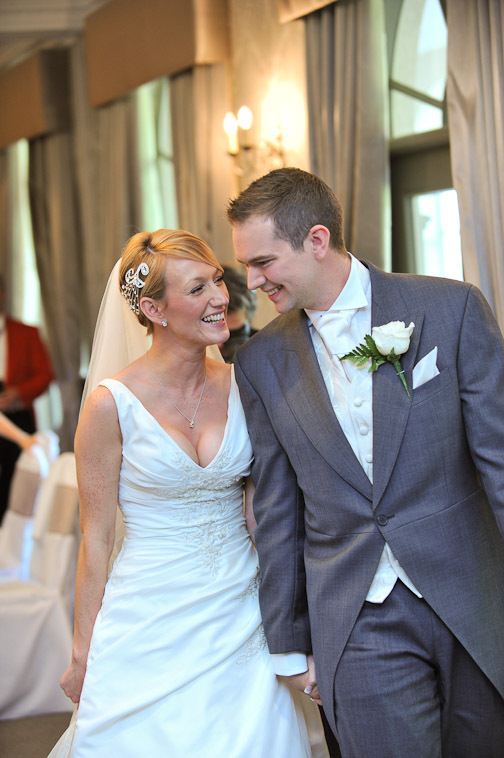 They married at Mottram hall and obviously I was their wedding photographer. Mottram hall is a great venue, literally a cavas for a good photographer to work with. Heres some of the images and their testimonial. I hope you like them! I don't even know how i can begin to say thank you for the perfect memories you have created for us! Everytime i look at the photographs I cry!! They are absolutely amazing! You were brilliant from start to finish! So friendly and funny, enough so that i was even comfortable having my pictures taken in my dressing gown and with no make-up on! You have definitely got a skill there!! I knew the photographs were going to be good after seeing your website (after seeing the albums, we knew you were the photographer for us! ), but we certainly didn't expect the professionalism and artistic flare that was put into them. We even had to find an internet shop whilst on honeymoon because family were texting us and telling us how immense they were-we needed to see too! Thank you for your enthusiasm throughout the day! It can be tiring having photos taken all day, but you made it so much more exciting, making us laugh, and lying on the floor to get some great ones! Also, (don't know how to say this without sounding vain!) but thank you for putting us on the front of your website!! I almost burst with excitement when i saw it!! I actually feel famous - i love it! We really can't thank you enough and are just so delighted that we chose you to be our photographer! I'm going to start crying again!